Hi friends ! this is shahin and welcome to my new awesome trick name Best Google Tricks. Trust me guys! you’ll love it. Google is known to all. Everyone know what is google. This is a search engine. If we need any information about any topic we find it by google. Google shows its best results to us. Google is a very helpful site to every people. Friend! if google will more interesting then before than what will your reaction ? Yes ! google is more interesting now. It will play with you. It has such wonderful games to play. Many things that can change your upset mind. It has many features to enjoy. I tried it that’s why I am suggesting you to do this. I am sure you’ll love it too. So friends! let’s know the trick. Don’t worry, it is too easy to do. You have to do some simple task only. There your task given bellow. 2. Go to Settings at the last down right side corner. 3. Click on Settings you’ll see the bellow bar. 4. 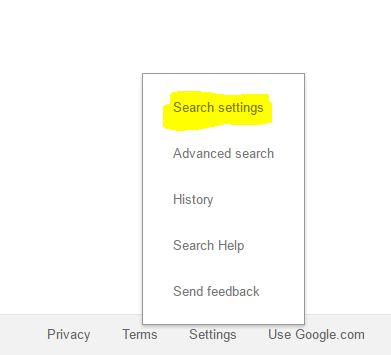 Click Search settings then you’ll see the bellow bar. 5. Change the option from the yellow color to the following option. After all the task is done type do a barrel roll on google search bar. After that you’ll see the magic of google. You can play guitar, snake game, in space, no gravity etc from google. Friends! this google trick is so amazing. You can try suggest it to your friends to do. If you like my post comment bellow or to give any suggestions about my posts please feedback to us. Till my new post be well.